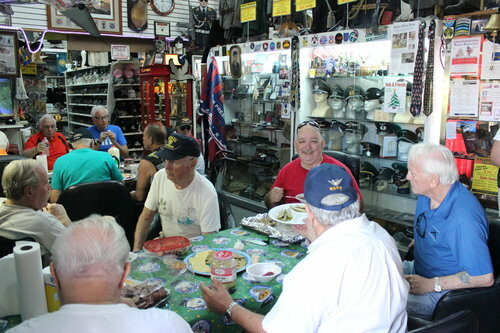 Homer Helter, owner of Homer Helter's Antique & Military Mall located at 5510 Shirley St., Naples, FL has been a collector of military memorabilia since he was a kid. At an early retirement age, Homer and his wife Diana moved to Naples, Florida. His love and passion for collecting did not fade with retirement. It became a passion that turned into a full time job. On April 1st, 1998, Homer became a vendor at 5510 Shirley St. Over the next several years his business continued to grow. 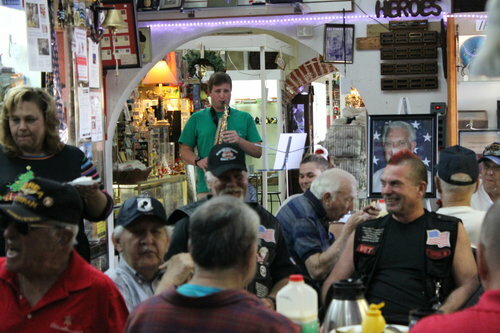 On September 1, 2007, Homer took over the 12,000 square foot building that not only housed his military memorabilia but was also the home for 50 premium antique dealers. Today, the antique dealers occupy 8,000 sq. ft. of the large building and Homer’s military memorabilia occupies 4,000 sq. ft. making it the largest military store in Florida. As important as the service and products we provide to our customers, it is just as important that we support our community, veterans and troops. Homer is commited to giving back where he can. (Click on the Military tab to see our commitment to our troops). Over the years we have hosted many events at our store; from book signings, to cookouts, to monthly outdoor sales, you name it! You can take a look at some images (located above) of our most recent cookout we had at the store. We hope to see you at our next event!